Max Hastings’s “exceptional” (Kirkus Reviews, starred review) account of the famous World War II D-Day landings “[will] stand with that of the best journalists and writers who witnessed it” (The New York Times Book Review). On June 6, 1944, the American and British armies staged the greatest amphibious landing in history—called Operation Overlord—the battle for the liberation of Europe. Despite the Allies’ absolute command of sea and air and vast firepower, it took ten weeks of fierce fighting for them to overpower the tenacious, superbly skilled German army. Forty years later, British war correspondent and military historian Max Hastings shares a dense, dramatic portrait of the Normandy invasion that overturns the traditional legends. 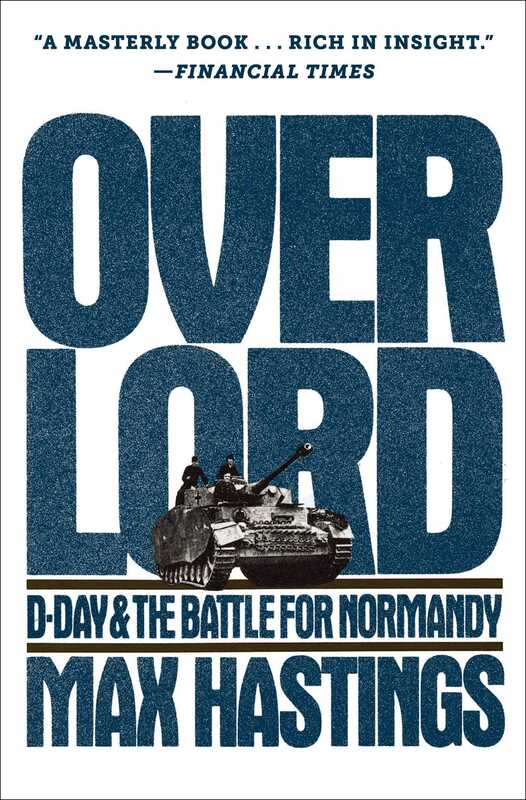 First published in 1984, Overlord “will shock those who regard the invasion of Normandy and the subsequent battles as triumphs of American, British, and Canadian military heroism” (The New York Times). Instead, Hastings provides a brilliant, controversial perspective on the devastating battles, based on the eyewitness accounts of survivors from both sides, plus a wealth of previously untapped sources and documents. 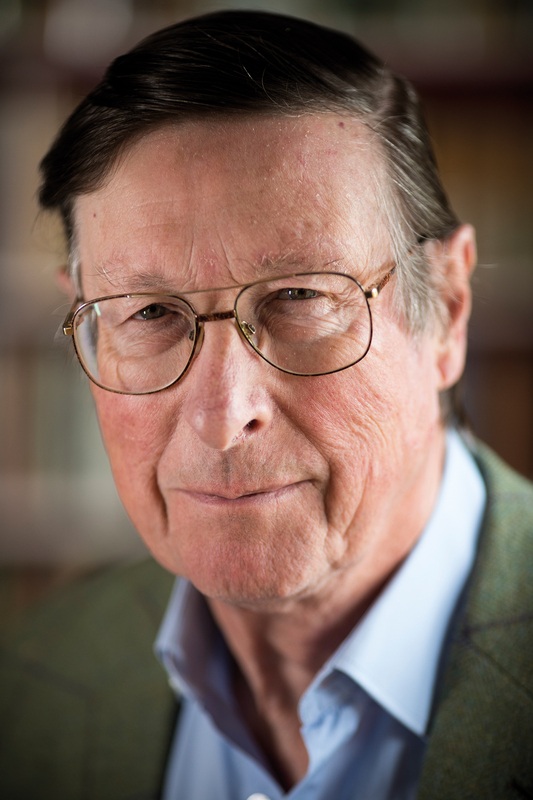 “A masterly book, rich in insight, shrewd and weighty in judgement…Max Hastings stands in the first rank of writers on modern war” (Financial Times). Not the least remarkable aspect of the Second World War was the manner in which the United States, which might have been expected to regard the campaign in Europe as a diversion from the struggle against her principal aggressor, japan, was persuaded to commit her chief strength in the west. Not only that, but from December 1941 until June 1944 it was the Americans who were passionately impatient to confront the German army on the continent while the British, right up to the eve of D-Day, were haunted by the deepest misgivings about doing so. “Why are we trying to do this?” cried Winston Churchill in a bitter moment of depression about Operation OVERLORD in February 1944,1 which caused in him a spasm of enthusiasm for an alternative Allied landing in Portugal. “I am very uneasy about the whole operation,” wrote the Chief of the Imperial General Staff, Sir Alan Brooke, as late as 5 June 1944. “At the best, it will come very far short of the expectations of the bulk of the people, namely all those who know nothing about its difficulties. At its worst, it may well be the most ghastly disaster of the whole war.”2 Had the United States army been less resolute in its commitment to a landing in Normandy, it is most unlikely that this would have taken place before 1945. Until the very last weeks before OVERLORD was launched, its future was the subject of bitter dissension and debate between the warlords of Britain and America. For a year following the fall of France in 1940, Britain fought on without any rational prospect of final victory. Only when Hitler invaded Russia in June 1941, the most demented of his strategic decisions, did the first gleam of hope at last present itself to enemies of the Axis. For the remainder of that year, Britain was preoccupied with the struggle to keep open her Atlantic lifeline, to build her bomber offensive into a meaningful menace to Germany, and to keep hopes alive in the only theatre of war where the British army could fight — Africa and the Middle East. Then, in the dying days of the year, came the miracle of Pearl Harbor. Britain’s salvation, the turning point of the war, was confirmed four days later by another remarkable act of German recklessness: Hitler’s declaration of war upon the United States. But in the months after ARCADIA, as the first United States troops and their senior officers crossed to Europe, it was the Americans who began to focus decisively upon an early cross-Channel invasion. The debate that now began, and continued with growing heat through the next 20 months, reflected, “an American impatience to get on with direct offensive action as well as a belief, held quite generally in the U.S. War Department, that the war could most efficiently be won by husbanding resources for an all-out attack deliberately planned for a future fixed date. American impatience was opposed by a British note of caution: American faith in an offensive of fixed date was in contrast to British willingness to proceed one step at a time, molding a course of action to the turns of military fortune.”4 Here, in the words of the American official historian, was the root of the growing division between the Combined Chiefs of Staff throughout 1942 and much of 1943. At first, American thinking was dominated by fear of a rapid Russian collapse unless the western Allies created, at the very least, a powerful diversion on the continent. ROUNDUP was a plan for an early invasion, with whatever forces were available, which the British speedily took pains to crush. Under strong American pressure, Churchill agreed in principle to the notion of executing ROUNDUP with 48 Allied divisions not later than April 1943. But the British — above all Sir Alan Brooke — privately continued to believe that ROUNDUP neither could nor should take place. Despite their assent to the operation, in the name of Allied solidarity, they began a successful struggle to divert resources towards much more modest — and in their view, more realistic — objectives. In the summer of 1942, the Americans reluctantly acceded to GYMNAST, an operation for the invasion of French North Africa. This was allegedly to be undertaken without prejudice to ROUNDUP, because of well-founded British fears that America would shift the weight of her effort to the Pacific if it became obvious that many months must elapse before major action took place in Europe. But as the BOLERO build-up in Britain fell behind schedule, the desert campaign dragged on without decisive result, and the tragic Dieppe raid demonstrated some of the hazards of cross-Channel operations, it became apparent in Washington as well as in London that there could be no campaign in France in 1943. GYMNAST was translated into reality by the TORCH landings of November 1942. It was at Casablanca in January 1943 that the Anglo-American leadership met for their second major conference. This was to be the last meeting at which, by dint of brilliant military diplomacy, the British gained acceptance of their own ideas about the manner in which the war should be pursued. The Americans reluctantly accepted HUSKY, the invasion of Sicily, with the prospect of further operations in Italy. They also undertook a commitment to an even greater combined bomber offensive against Germany, POINTBLANK, designed to “weaken Germany’s war-making capacity to the point to which invasion would become possible”. The American Chiefs of Staff returned to Washington irritably conscious that they had been persuaded to adopt a course they did not favour — the extension of “sideshow” operations in the Mediterranean which they believed were designed chiefly to serve Britain’s imperial and diplomatic purposes. But the British had at least acknowledged that north-west Europe must be invaded the following year. Sir Alan Brooke agreed at Casablanca that “we could definitely count on re-entering the continent in 1944 on a large scale”. The Americans were determined to countenance no further prevarication. Throughout the remainder of 1943 — while the British argued for extended commitments in the Mediterranean, possible operations in the Balkans, further delays before attempting to broach Hitler’s Atlantic Wall — the Americans remained resolute. At the TRIDENT conference in Washington in May, the date for invasion of north-west Europe was provisionally set for 1 May 1944. This commitment was confirmed in August at the QUADRANT conference in Quebec. To the deep dismay of the British, the Americans also pursued most forcefully their intention to execute ANVIL, a landing in southern France simultaneous with OVERLORD, whatever the cost to Allied operations in Italy. This proposal was put to Stalin at the Teheran conference in November 1943; he welcomed it. Thereafter, the Americans argued that, quite apart from their own enthusiasm for OVERLORD and ANVIL, any cancellation or unreasonable postponement of either would constitute a breach of faith with the Russians. Remarks of this sort aroused the deepest dismay and suspicion among the Americans. They believed that the British were seeking grounds for further delays because they feared to meet major formations of the German army in France, with the prospect of huge casualties that the battered Empire could so ill afford. A sour memorandum prepared in the U.S. Chiefs of Staffs’ office in the autumn, declared that, “it is apparent that the British, who have consistently resisted a cross-Channel operation, now feel OVERLORD is no longer necessary. In their view, continued Mediterranean operations coupled with POINTBLANK and the crushing Russian offensive, will be sufficient to cause the internal collapse of Germany and thus bring about her military defeat without undergoing what they consider an almost certain ‘bloodbath’. The conclusion that the forces being built up in the United Kingdom will never be used for a military offensive against western Europe, but are intended as a gigantic deception plan and an occupying force, is inescapable.”8 This document was not a basis for action, but serves to illustrate American suspicion and scepticism at the period. It was patently true that Britain’s strength was waning, her people growing weary: “At the end of 1943, the population of Britain was . . . nearing the limit of capacity to support the Allied offensive,”9 wrote the British official strategic historian. “The government was therefore faced by the prospect of conducting the main offensive against Germany and Japan over a period when greater casualties and further demands must lead, after a period of uneasy equilibrium, to a reduction in the war effort.” By May 1944 the British army would attain the limits of its growth — two and three-quarter million men. Meanwhile, the American army would number five and three-quarter millions, still far short of its potential maximum. British production of ammunition had been falling since late 1942, of vehicles since mid-1943, of guns and small arms since late 1943. Whereas in 1940 Britain was producing 90.7 per cent of the Commonwealth’s munitions, buying 5.6 per cent from America and finding the remainder within the Empire, by 1944 Britain’s share of production had fallen to 61.2 per cent, with 8.9 per cent coming from Canada and 28.7 per cent by purchase or Lend-Lease from the U.S. Britain’s leaders were more and more despondently conscious of America’s dominance of the Grand Alliance and its strategy. Americans were not slow to point out either at the time or after 1945 that Alamein remained the only major land victory of the war that the British achieved unaided. In the winter of 1943-44, the British were by no means certain that the moment had come when OVERLORD might be launched on the overwhelmingly favourable terms that they sought. They saw many hazards in haste, and great virtues in delay. The German army had already suffered vast losses in the east, and was being desperately depleted each day by the advancing Russian armies. The air forces believed that strategic bombing was rapidly eroding the ability of Hitler’s industries to arm and supply his armies. Operation RANKIN, referred to above in the British Chiefs of Staffs’ aide-memoire, was a plan for the occupation of the continent if the bomber offensive or dramatic developments in the east caused German resistance suddenly to collapse. Such a profoundly realistic, even pessimistic, figure as Sir Alan Brooke can never have pinned many hopes on such a remarkable turn of events. But it is a measure of lingering British wishful thinking about the avoidance of a bloody campaign in Europe that, as late as November 1943, the Chiefs of Staff could still refer even to the possibility of implementing RANKIN. A forceful faction among post-war historians has sought to argue that Germany could have been defeated much earlier had the American strategic view prevailed from the outset and France been invaded in 1943.12 They suggest that in that year, Allied air supremacy was already overwhelming; that Italy unliberated would have been a drain upon the Axis rather than an asset to it; that the Atlantic Wall and its garrison were visibly weaker in 1943 than the following year; and that the landing craft lacking could readily have been found by reducing the quota for the Pacific and cancelling further amphibious operations in the Mediterranean. All of this ignores the consideration at the heart of Churchill’s and Brooke’s fears to the very moment of invasion — their knowledge of the immense and extraordinary fighting power of the German army. Four years of war against the Wehrmacht had convinced Britain’s commanders that Allied troops should engage and could defeat their principal enemy only on the most absolutely favourable terms. Throughout the Second World War, wherever British or American troops met the Germans in anything like equal strength, the Germans prevailed. They possessed an historic reputation as formidable soldiers. Under Hitler their army attained its zenith. Weapon for weapon and tank for tank, even in 1944, its equipment decisively outclassed that of the Allies in every category save artillery and transport. Most of the German troops in Italy were line formations; only very limited numbers came from elite units. Yet in France the Allies would meet the SS Panzer divisions, the most fanatical and effective battlefield forces of the Second World War. What if the weather should close down, denying the British and Americans the air support that alone could give them a real prospect of victory? An Allied OVERLORD planner reflected in September 1943 upon the difficulties in Sicily where 15 Allied divisions had faced 13 enemy divisions of which just three were German, on a battlefield of 17,000 square miles. In Normandy, he pointed out, 24 Allied divisions would confront at least 17 German formations on a battlefield of 33,000 square miles.15 These were not, of course, the eventual numbers on the battlefield. But they were estimates which provided food for thought in London in the autumn of 1943. The revelations since 1974 of Allied success in breaking German codes in the Second World War has created some illusions that Ultra provided a magic key, an open sesame for the Allies on the battlefield. Important as Ultra’s contribution was, its supply of information was erratic and incomplete. It provided vital strategic guidance, and its forewarning of German attacks was often of immense importance to the formations seeking to parry these. But Ultra could seldom provide decisive intelligence for Allied troops going into an attack. Only fighting power could gain objectives on the battlefield. It was about this that Churchill and Brooke remained so uncertain in the winter of 1943. Yet given impetus by American determination, the planning and preparation of OVERLORD now gained pace, and were not to slacken again. Through the winter of 1943 and even into the spring of 1944, other plans and other problems were also occupying and vexing the minds of the British and American high commands. But one by one lesser operations — CULVERIN, BUCCANEER, HERCULES, PIGSTICK-withered on the bough. One of the most divisive Anglo-American quarrels of the war, which continued until high summer of 1944, concerned the diversion of forces from Italy for the ANVIL landings in the south of France. In a moment of strategic fantasy, Roosevelt proposed that ANVIL should precede the landing in Normandy by a month. But inexorably distractions were cast into the wings. The beam narrowed until it focussed decisively upon OVERLORD. This was an operation for which all paper estimates of strength promised Allied victory. Yet the consequences of failure were so great as to haunt the leaders of the Grand Alliance. The COSSAC staff’s crippling handicap was that without the authority of a Supreme Commander they were compelled to carry out their task within limitations laid down by the Chiefs of Staff. Morgan was instructed to plan an operation, with a specified and quite inadequate weight of resources, that would put only three divisions ashore in the first landings in France. OVERLORD, even more than any ordinary operation of war, demanded a commander who could decide what forces were necessary for its execution, and then insist that these were provided. It was not until the end of the year that the commanders were appointed; only then was sufficient authority brought to bear upon this issue to enable demands for extra men and ships to be made, and met. It did not of course do so, and a few days later the staff were considering and rejecting the possibility of a feint invasion: “The feint will be over by D-Day and it will be clear that it was only a feint and the threat to the Pas de Calais will have disappeared, and the enemy may move his reserves. If we are to maintain our threat, we must dispense with the feint. If we are to have the feint, we must dispense with the threat.”20 Here was the germ of FORTITUDE, the brilliant Allied deception operation which would keep the German Fifteenth Army locked in the Pas de Calais deep into July 1944. Eisenhower was sensitive to the well-founded charge that he was no battlefield commander: “It wearies me to be thought of as timid, when I’ve had to do things that were so risky as to be almost crazy.”22 But history has thus far remained confident that whatever his shortcomings as a general in the field, he could not have been matched as Supreme Commander. In 1944–45, he revealed a greatness of spirit that escaped Montgomery, perhaps every British general of the Second World War with the exception of Slim. The shortcomings of the Allied high command in north-west Europe in 1944 have provoked close critical study. Most writers have chosen to consider the successes and failures of Eisenhower and his lieutenants in isolation;23 they have been reluctant to compare them with the collapse of so many other military alliances in other ages, or to reflect upon the vast weight of forces assembled in north-west Europe, which rendered meaningless any comparison with the command methods of Marlborough and Wellington, even those of Grant and Sherman. The most vivid contrast is that of the Allied SHAEF and the German OKW. Alongside the command structure of their enemies, that of the Allied forces was a masterpiece of reason and understanding. Eisenhower understood that in some respects his authority was that of a constitutional monarch: the power that he held was less important than the fact that his possession denied it to others. Eisenhower lacked greatness as a soldier, and tolerated a remarkable number of knaves and mischief-makers in his court at SHAEF. But his behaviour at moments of Anglo-American tension, his extraordinary generosity of spirit to his difficult subordinates, proved his greatness as Supreme Commander. His failures were of omission, seldom of commission. It remains impossible to conceive of any other Allied soldier matching his achievement. The Americans were irked by the appointment of Englishmen to all three subordinate commands for OVERLORD — Montgomery on land, Sir Bertram Ramsay at sea, Sir Trafford Leigh-Mallory for air. Yet another Englishman, Air Chief Marshal Sir Arthur Tedder, would serve as Deputy Supreme Commander, a recognition of the critical importance of the air forces to the invasion. Eisenhower quickly realized that his command difficulties with OVERLORD would be much greater than those of TORCH not merely because of the scale of the Normandy invasion, but because in North Africa “we were then engaged in desperate battling and everybody could see the sense of and necessity for complete unification. The answer also lies partially in the fact that those three men [his deputies in the Mediterranean] were of the broadest possible calibre, while two of my present commanders, although extremely able, are somewhat ritualistic in outlook and require a great deal more of inoculation.”24 He referred to Ramsay and Leigh-Mallory; but he had also wanted Alexander instead of Montgomery as ground commander. This was the final occasion of the war on which British officers achieved such a measure of authority over Americans, and Americans bowed to British experience and allegedly greater military wisdom. This was ironic, for the invasion was pre-eminently an American design, reflecting an American willingness to confront the enemy head-on in a collision which Britain’s leaders had sought for so long to defer. But for the British people far more than for the Americans, the invasion represented a rebirth, a return, a reversal of all the humiliations and defeats that they had endured since 1939. Here, at last, the British army could resume that which it had so disastrously abandoned at Dunkirk: the battle to defeat a major German army in north-west Europe.